If things had gone differently 14 years ago, instead of the bus service you see here on Guadalupe there'd be a light rail line today. Back in 2000, voters were deciding on a "light rail" line. Now planners are calling the new proposal an "urban rail" line, even though they're the same thing. "Urban rail is our terminology for light rail in this region," Robert Spillar, Austin's Director of Transportation, told a group of realtors at a recent forum on the rail proposal. The 2000 proposal would have routed light rail in a very dense area of the city. This simulation shows it running along South Congress. The failure of the 2000 plan has also meant a different route this time around. It takes away fewer existing car lanes and serves a less dense area of the city – not the more heavily-traveled Guadalupe-Lamar corridor. "There were a lot of people that thought, they were scared of that alignment, of bringing it back, because it had such a defeat," Wood says. "The loss in 2000, I think, really hit a lot of people hard. A lot of people that had pushed for that alignment." One of those people is Lyndon Henry (no relation), who's been advocating for transit and rail in Austin for decades. He was (and is) a big proponent of the 2000 plan. And he thinks the failure of that plan had a negative impact on the rail proposal we have today. "Well, it spooked them about community attitudes, mainly," Henry says. Some neighborhood groups and South Congress businesses were actively against the 2000 light rail plan and subsequently fought to keep it from coming back. "And, boy, has that stayed in people's minds," Henry says. "Unfortunately, it's kinda warped thinking in terms of what we could do here." 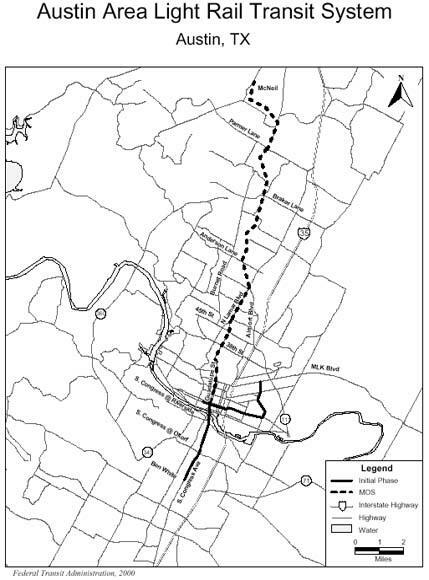 While Henry has long supported rail on the Guadalupe-Lamar corridor, he's taking a different approach to the current plan's route (which would go from Grove and East Riverside through downtown on Trinity, through campus on San Jacinto, and up Red River and Airport to where the Highland Mall and ACC Highland are today). Henry says this route is too expensive and will suffer from low ridership and high operational costs, hurting existing bus service which is funded out of the same pot. Henry is part of a vocal group of pro-transit Austinites opposing this rail plan, particularly it's proposed route north of Lady Bird Lake, and that opposition has surprised the people planning the project. "I think it's a remnant of the 2000 vote," says Kyle Keahey, the urban rail project lead for Project Connect (a partnership of regional transit agencies), which came up with today's plan. "It is a little surprising, because I think we've acknowledged there is a need for a system," Keahey says. "Lamar, Mueller, South Congress – all of those need to be served. So I worry as a community that we may make zero progress if that position is taken." Because of their concerns about the route's ridership and cost, you're now seeing in Austin how politics truly makes for strange bedfellows: pro-transit, anti-prop 1 groups find themselves on the same side of the fence as some of the leading Republican, anti-tax voices also against it. Those are some of the same folks that fought hard against the 2000 rail proposal, like Jim Skaggs of Citizens Against Rail Taxes and Precinct 3 Travis County Commissioner Gerald Daugherty, a Republican. "I'm not interested in watching this community spend six to seven hundred million dollars on something that will [have] such a small, small number of people that will be able to use it," Daugherty said at the recent Austin Board of Realtors rail forum. Daugherty was joined in presenting the opposition to Austin's Proposition 1 that day by Julio Gonzalez Altamirano, a representative of AURA (originally for 'Austinites for Urban Rail Action'). AURA is a pro-transit group that is opposed to the light rail plan on the ballot, saying it's "worse than doing nothing." On the pro-Prop 1 side, you've got political action committees like Let's Go Austin and business groups like the Chamber of Commerce saying, "We've got to start somewhere." "We've avoided this issue in the past, we've kicked the can down the road," says Greg Hartman of Seton Health Care and the treasurer for Let's Go Austin. "You know, a lot of the problems we have now are because people didn't make investments a long time ago." There's one more big difference between the vote today and the one in 2000. Back then, voters were only deciding on a rail plan, one that could be funded without property tax increases -- it wasn't a bond election. It was a simpler proposal before voters, too -- the ballot wording was just ten words; this time the convoluted ballot proposal runs 220 words. This election, voters are being asked to decide on a proposal that includes both roads and rail, a move to broaden its appeal. In all, a billion dollars in additional spending is on the line: $600 million in bonds for the light rail proposal and $400 million in city debt for road improvements. That's a price tag that will raise average property taxes by hundreds of dollars a year. 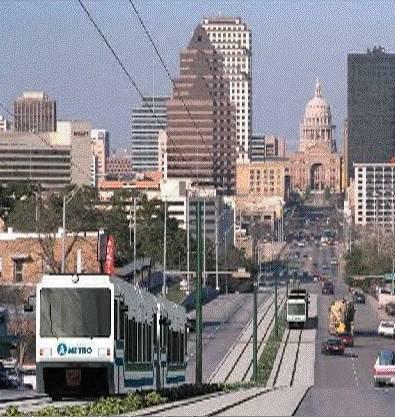 Is a Light Rail Line Going to Solve Austin's Traffic Problems? This Election Day, Austin voters will decide on the largest single bond proposal in the city’s history. A little more than half of the $1 billion bond package would go towards a light rail line, the other half for road improvements. Supporters say the package provides a solution to Austin’s traffic, but some wonder if building out more mass transit and expanding roads is really going to make a dent.